Florida ARF looks out for you: Florida ARF knows that its members are unique. Florida ARF members belong to the only statewide Association representing the full diversity of individuals with disabilities, their families and the community organizations that serve them. Florida ARF is your eyes, ears, and voice: Florida ARF represents you at meetings and speaks out on your organization’s behalf where important policy decisions are being made. Florida ARF is your industry news source: Since you can’t always be at the Capitol, Florida ARF brings the Capitol to you by providing over 100 legislative and regulatory alerts annually. Florida ARF listens to you: Florida ARF members discuss and debate controversial topics and create the annual legislative platform for the Association. Florida ARF is your link to the statewide network of community organizations: Florida ARF hosts numerous meetings each year with professionals from around the state and nation. Florida ARF is committed to families: Grassroots is our foundation and families play an integral part of the Florida ARF’s mission. Members proactively reach out to and work with families to help empower them to advocate and care for their loved ones. 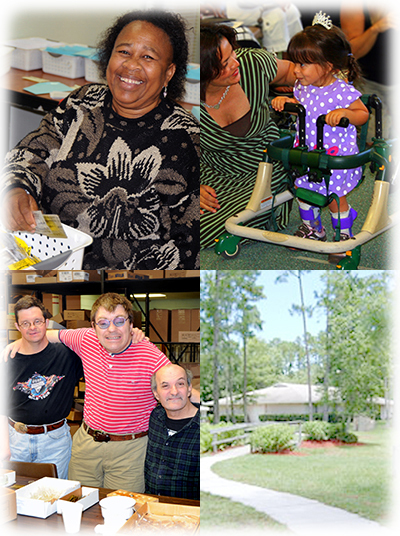 Florida ARF is member driven: Florida ARF is the only statewide trade association that advances the mission of community organizations and quality services to individuals with disabilities and their families. Florida Association of Rehabilitation Facilities, Inc.